Believe it or not, when it comes to sweet things I am pretty good. I can live without chocolate, sweets, caramels... etc. My only vice is cake. If there's a lovely, moist sponge cake going, I will eat it... ALL!!! My boss Mikey shares my love for a simple sponge cakes and a few months ago I baked these lovely mini victoria cupcakes for his birthday. And because they were so good we had them for our afternoon picnic in the park this weekend again. These are so easy to make and because the ingredients are all equal measures you can learn the recipe by heart and bake anywhere, any time :) Here's to all of you who say you can't bake! Enjoy the vanilla cupcakes just on their own or fill with whatever tickles your fancy or if you want to make a chocolate sponge cake, just sieve a tablespoon of cocoa into the batter, mix and bake. These are absolutely divine. 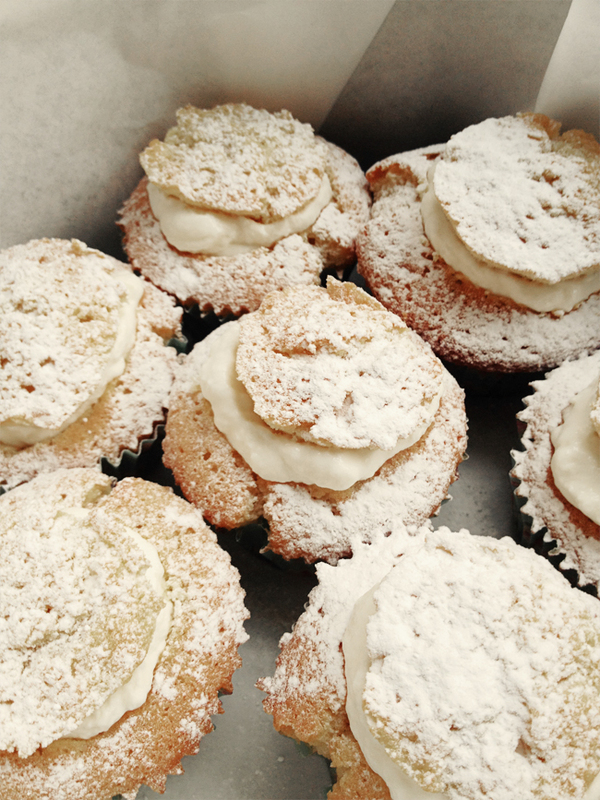 Extra icing sugar to dust. Cream the butter and sugar until well combined and fluffy. Add the eggs a little at a time and mix until you have a smooth batter. Mix in the vanilla extract. Place into the pre-heated oven and bake for 12-15 minutes until golden brown. Once done check whether your cakes are cooked by piercing with a cocktail stick. If it comes out clean the cakes are done. If the batter sticks to it, bake for a couple more minutes. While your cakes are baking, pour your cream into a mixing bowl, add the sugar and vanilla extract and beat until thick. Place into the fridge to cool. When your cakes are done, place them on a wire rack and leave to cool approximately half an hour. To fill, cut little cones out of the top and cut off the pointed tip so that you are left with a sponge lid. 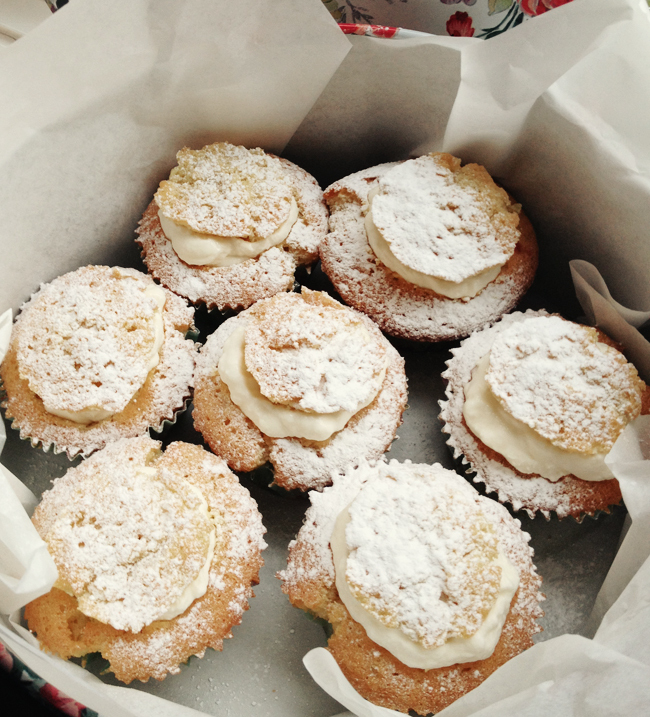 Spoon a little of the jam into the cupcake, top with cream, place the sponge lid on top and dust with icing sugar. Devour with a cup of tea or sparkling wine, ideally on picnic blanket in the sunshine.